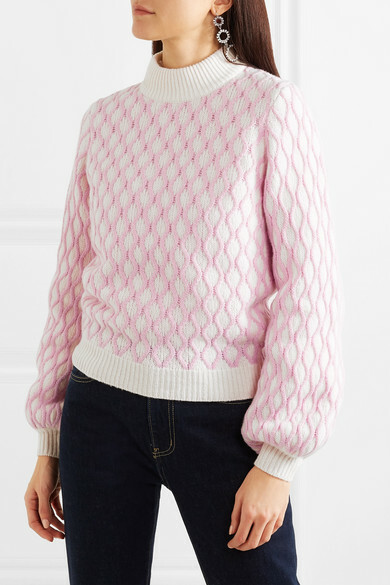 Stine Goya’s take on the traditional cable-knit sweater is just as playful as you’d expect. 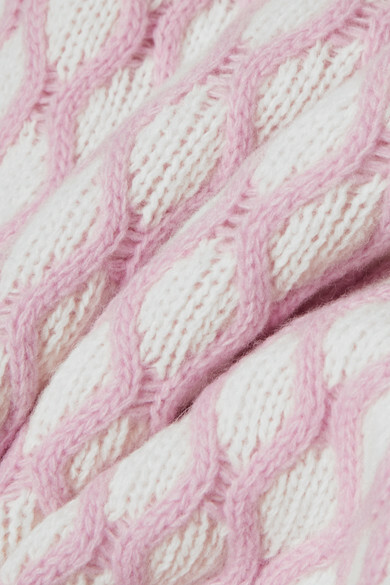 Spun from a soft wool-blend, this ‘Carlos’ style is decorated with pretty pink yarns. 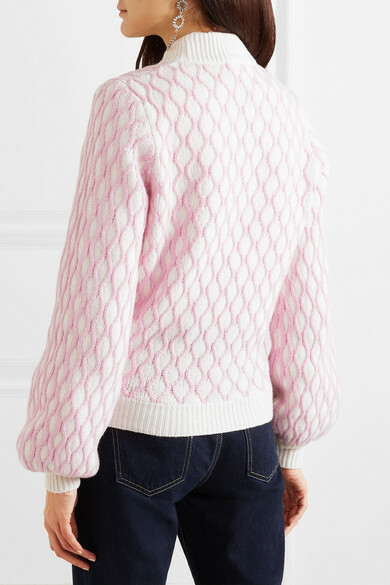 The ribbed trims lock in warmth and define the balloon sleeves. Style yours with cropped jeans - dark-wash denim looks so cool against the pastel shade. Shown here with: Current/Elliott Jeans, Cecilie Bahnsen Top, Loeffler Randall Tote Bag, BY FAR Sandals, Isabel Marant Earrings.